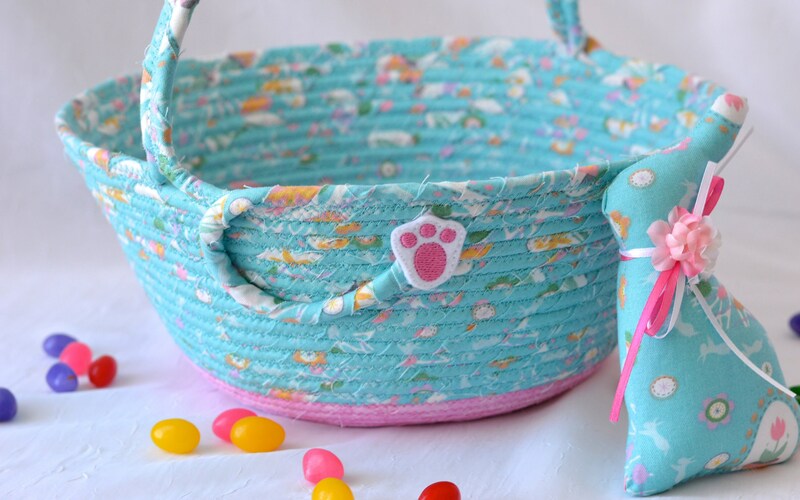 ********** 1 cute 5" high MATCHING Blue Bunny are included too! 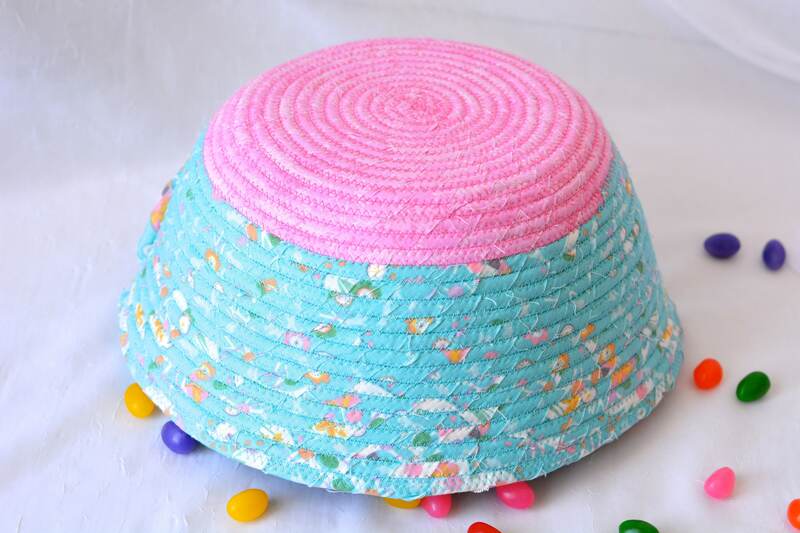 Baby Girl Easter Basket! 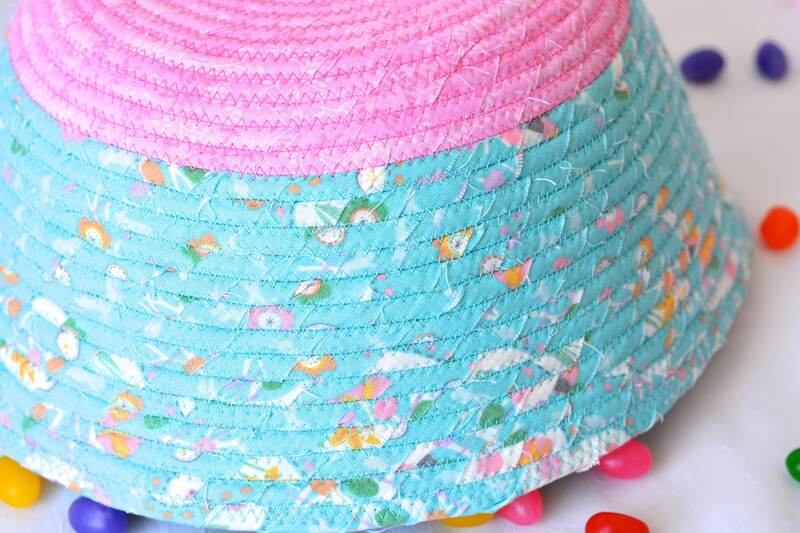 Baby Keepsake Bucket! 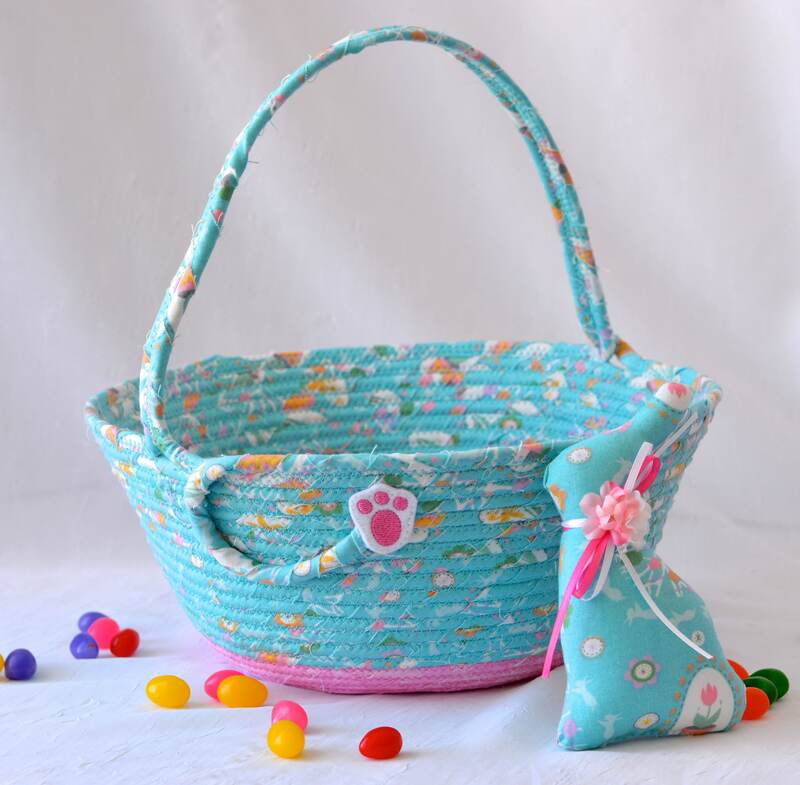 I hand wrapped these lovely pink and blue fabrics around cotton line, which I then hand coiled and machine quilted to make it sturdy. I used the raw edge technique with a little fray, adding a nice shabby chic texture. 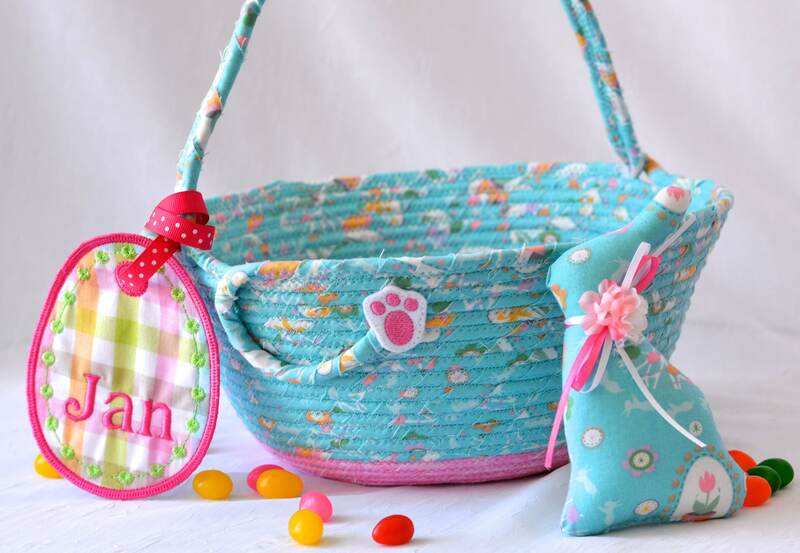 The cute felted bunny on the basket is included for a nice accent. The adorable name tag is sold separately, please see below. 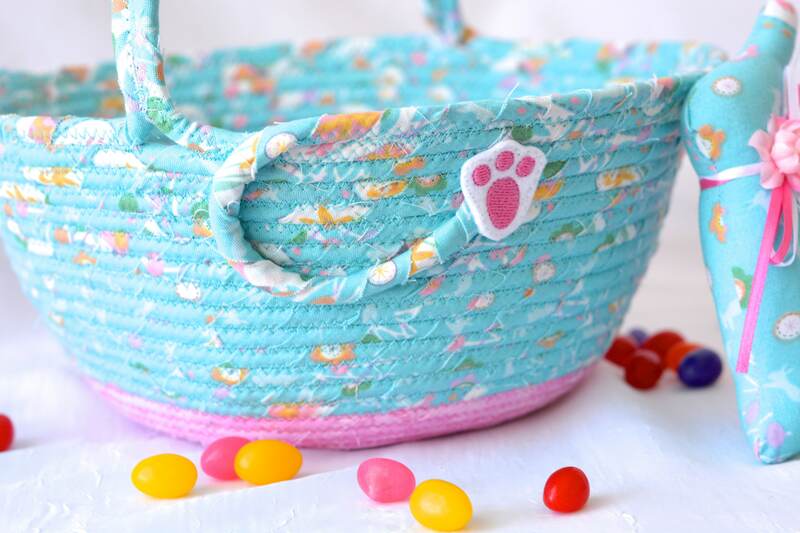 Both pretty fabrics are 100% cotton and both show on the inside of the basket too! 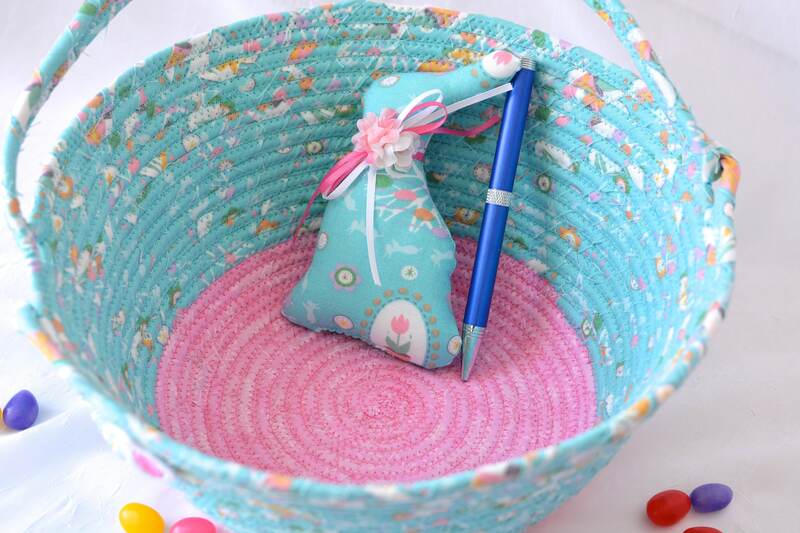 WITH Lovely Matching Fabric Easter Bunny! Please see the picture with the cute name tag. 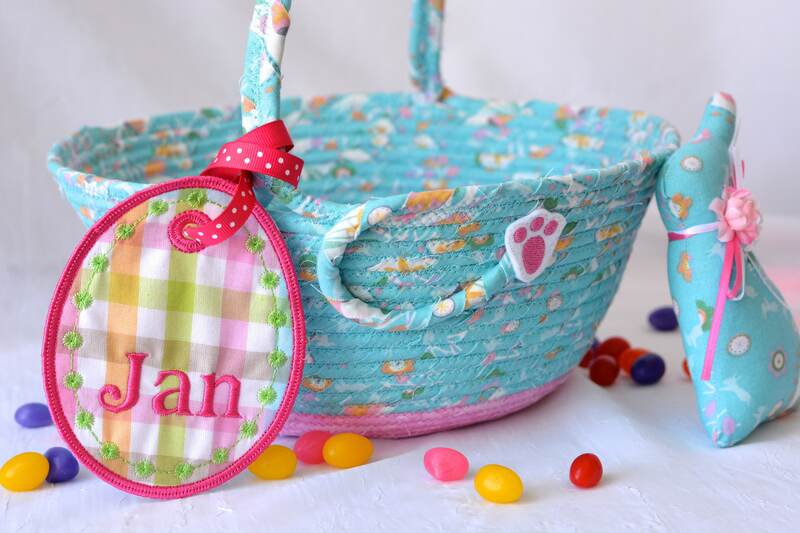 Kathy handmade this cute tag and has many more Easter tags. The handle is flexible, not stiff, it folds to the side for easy storage.